I’ve recently designed this Midnight Blue Liberty Quilt for Today’s Quilter Magazine. 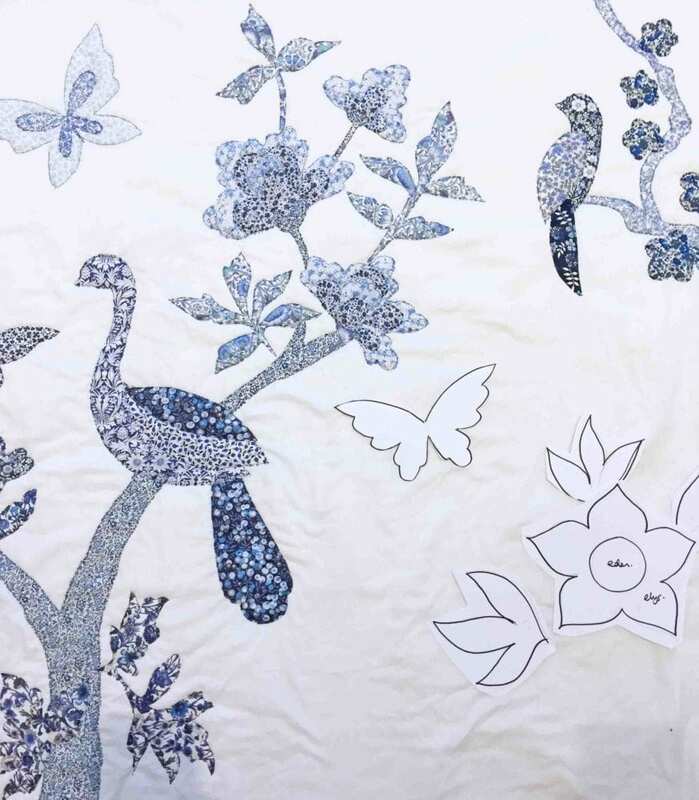 I had a vision to make a blue and white quilt, inspired by the willow pattern found on many pieces of china. I love this old pattern. The raw edged central panel was inspired by Chinese wallpapers (like the ones you see at Chatsworth). I bought some huge platters at an auction recently and wanted to use these designs for my most recent quilt. It’s got a pretty awesome central applique panel which I love on the white background. Among other flora and fauna, this panel has both a peacock and bluebird hidden in the trees. The design of the quilt took a while. I had to work out some tricky maths. 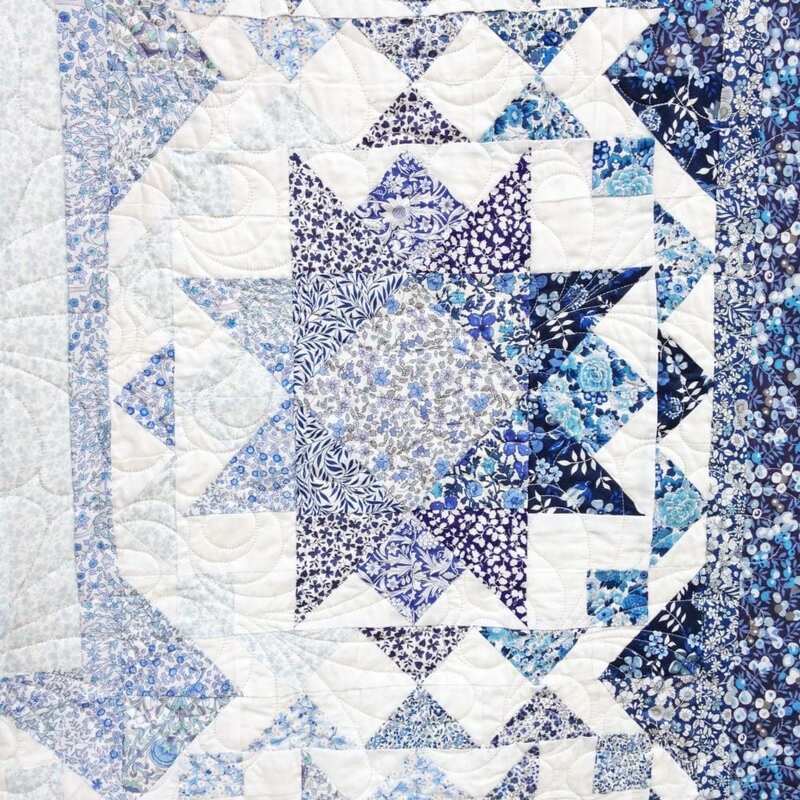 Blue and white is such a strong theme for a quilt and there are so many Liberty blues to choose from so it was the perfect combination. 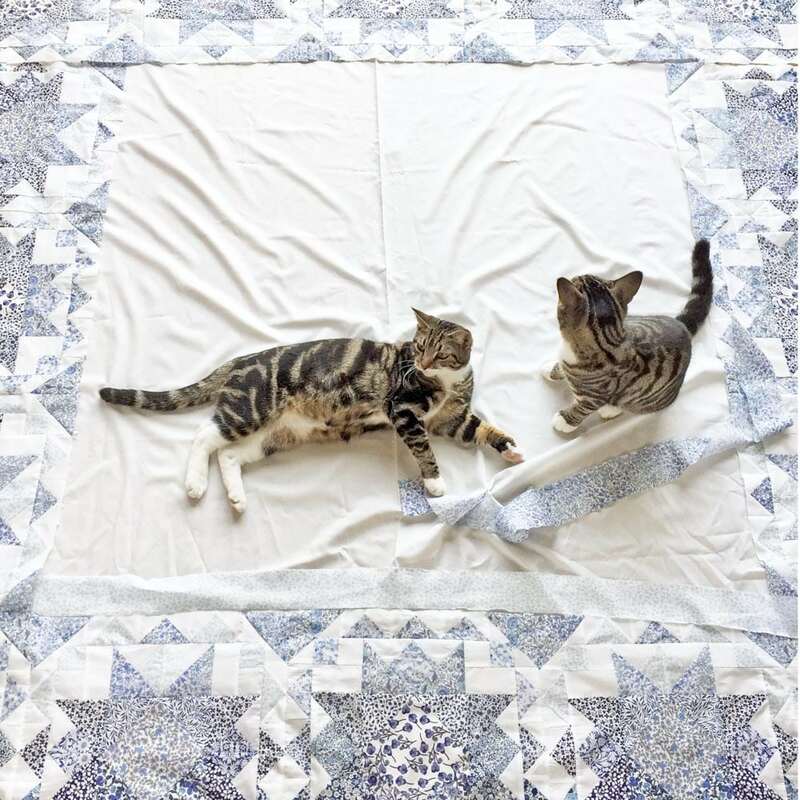 I felt that they deserved their very own quilt to showcase them in a beautiful way. I made the quilt border first. Before I started the central panel, I tried to lay it all out. I had some great little helpers! The flora and fauna in the central panel is all hand drawn. It is all finished using the technique of raw edge applique. Lou Lou Rioux has quilted it. She worked through the night to finish in time for the magazine deadline. Thank you. For the border, I wanted to create a new quilt block. It grades from light to dark with mid-tones on the outer border. This ‘Radiating Stars’ quilt block was quite tricky and involved lots of maths. I like to work out the most efficient way to make quilt blocks as Liberty fabric is not to be wasted. The contrasting white is also Liberty Tana Lawn. 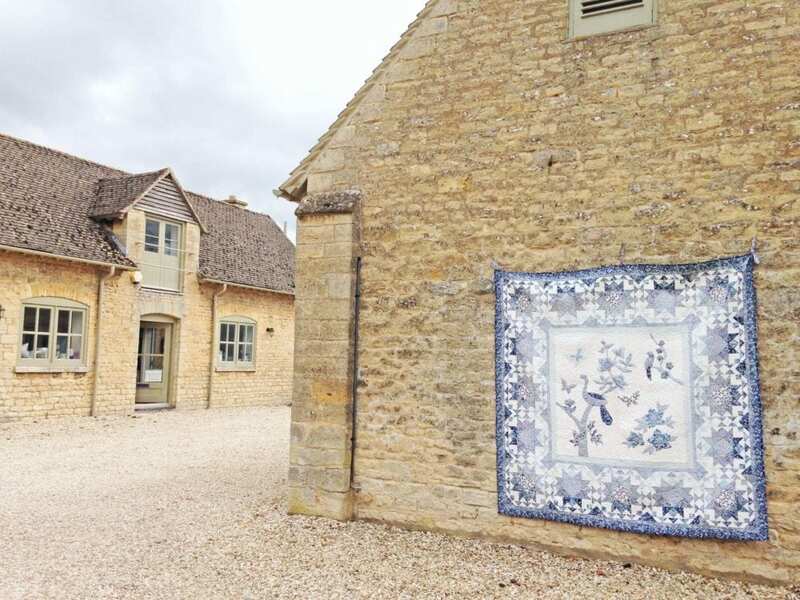 I love hanging my finished quilts next to the honey-coloured Cotswold stone walls of the studio. The project is in Issue 29 of Today’s Quilter. You can find the full instructions in this issue of the magazine. 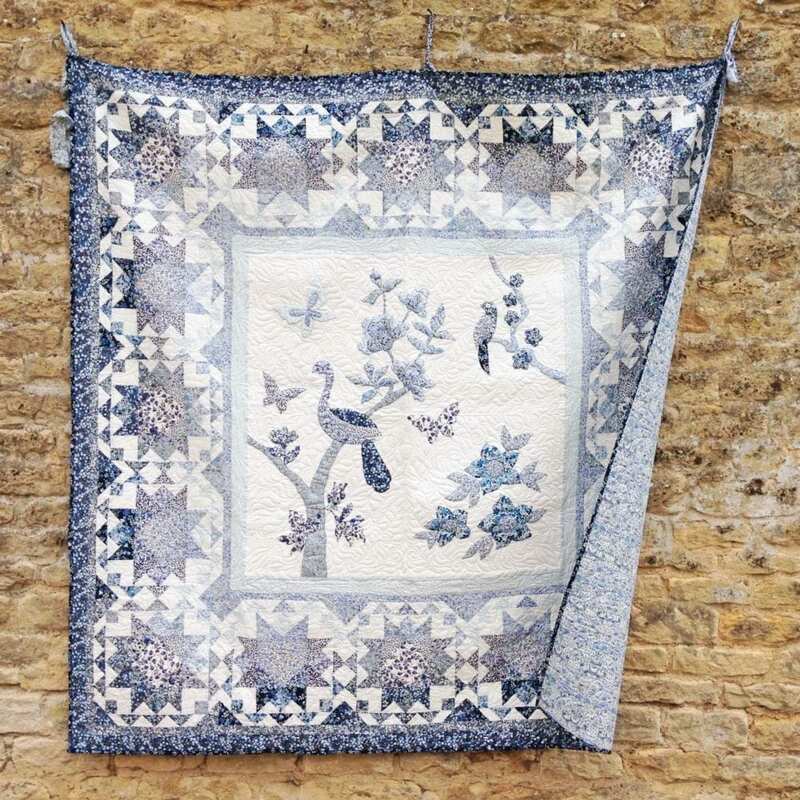 You can get the fabric bundle to make this quilt here. 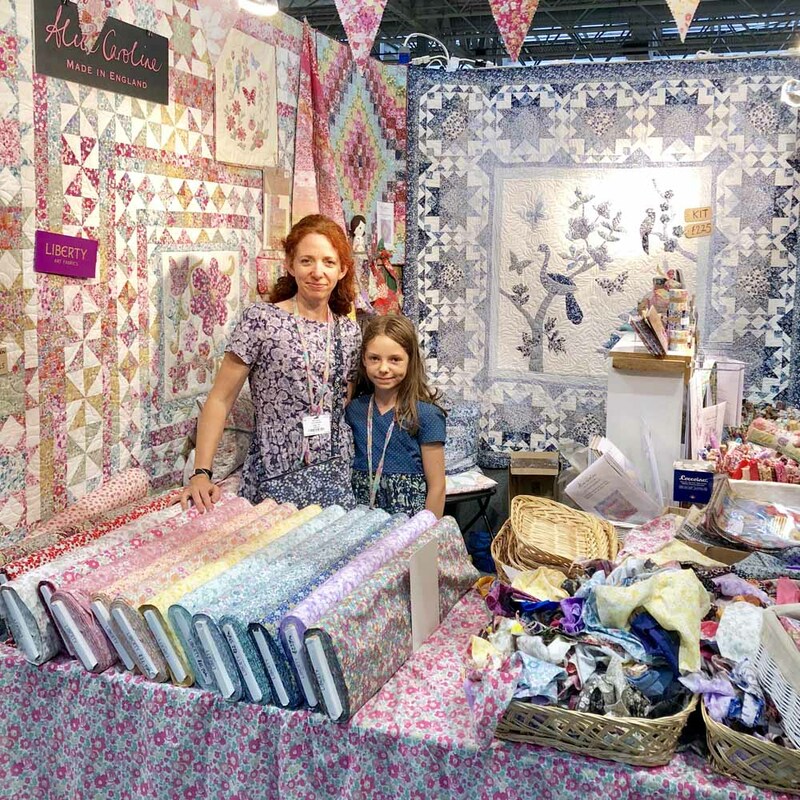 I took the quilt to The Festival of Quilts where I met lots of Alice Caroline customers. It’s so great to meet everyone there and to look at lots of amazing quilts. 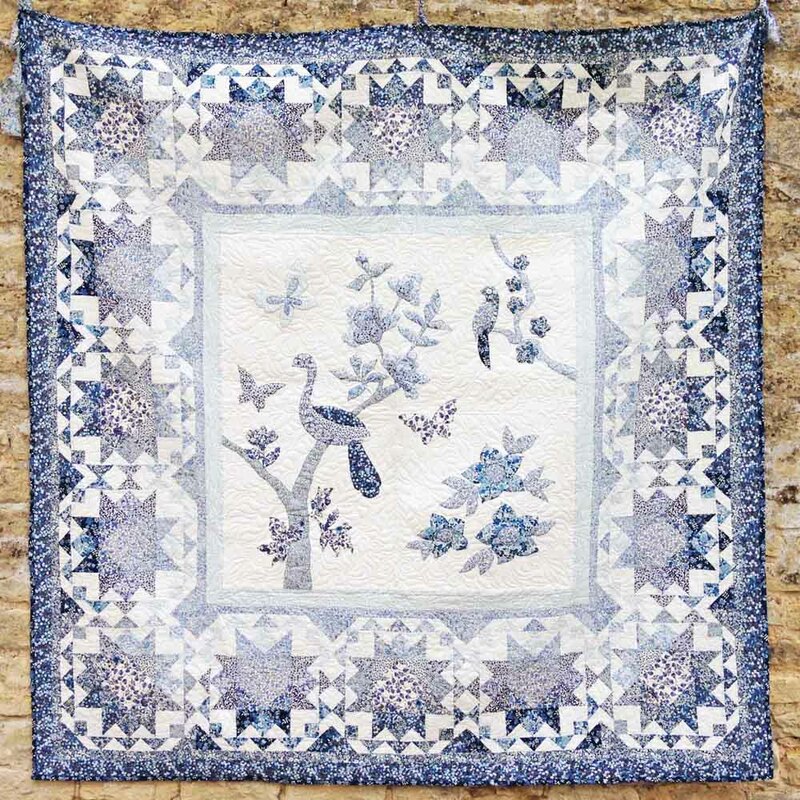 I hope you like the quilt and feel inspired to sew.